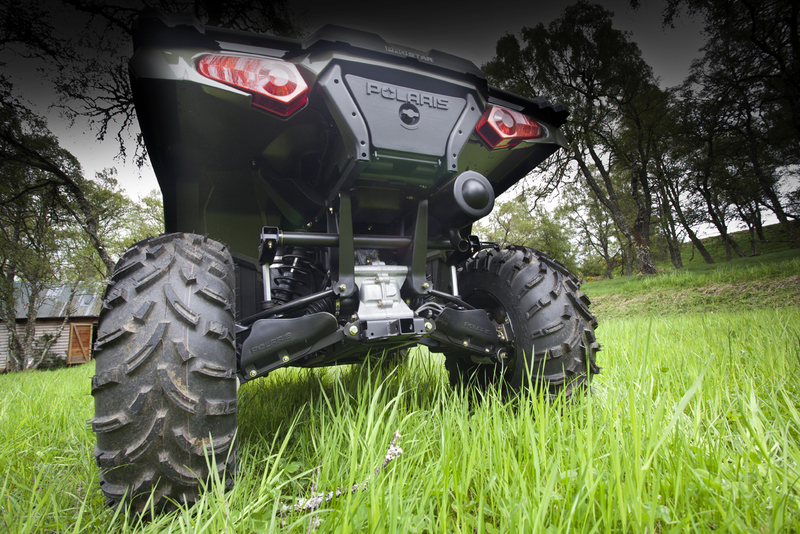 Have a look at the Polaris ATVs in action in the following videos. Polaris manufacture a range of ATVs, Snowmobile, Watercraft and Motorcycles from their headquarters in the USA. Their factory owned importer, Polaris Britain, brings in their ATVs and Motorcycles to the UK, before they are distributed across the country. 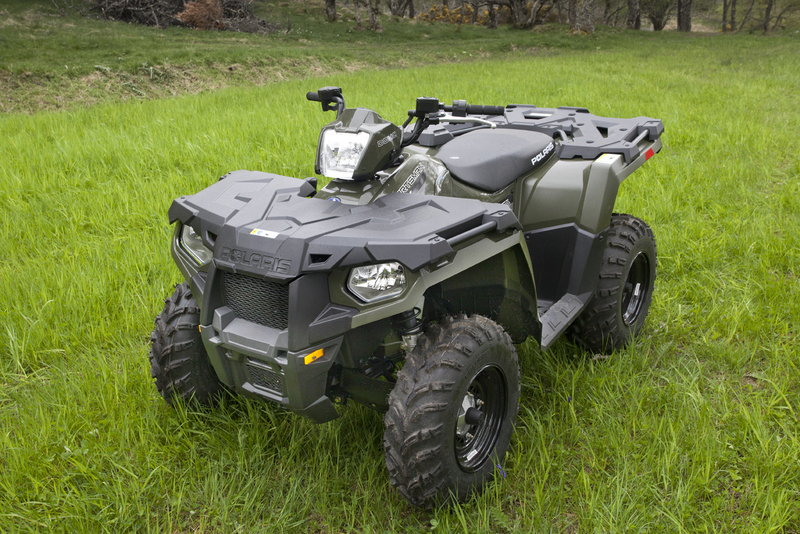 Polaris produce a range of high quality, technically advanced ATVs which are sold to the leisure, utility and military markets, all their ATVs have a 2 year manufacturers warranty as standard. Purpose built machines are supplied to the US military and are currently used in active theatre. 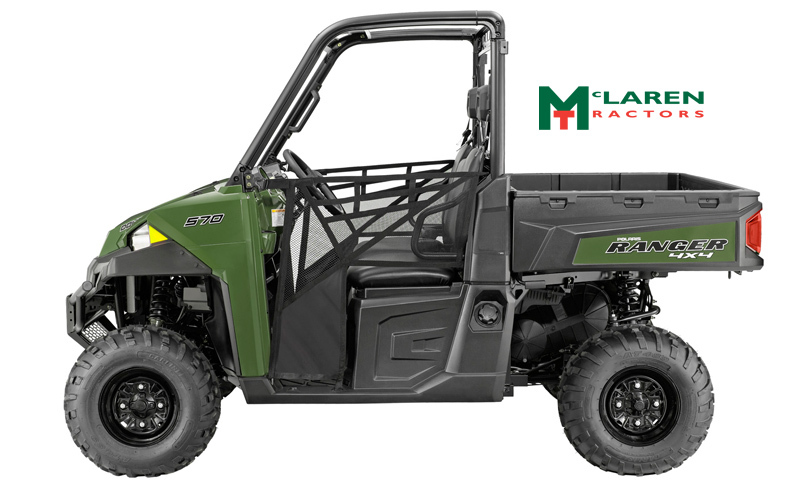 We deal with the extensive Polaris utility range of machines, which run from a simple 325cc 4 wheel drive ATV up to the impressive 1000cc 4 wheel drive RZR Ranger ORV. We provide machines accessories, service and spare parts, as well as providing demonstrations of a variety of machines and accessories. 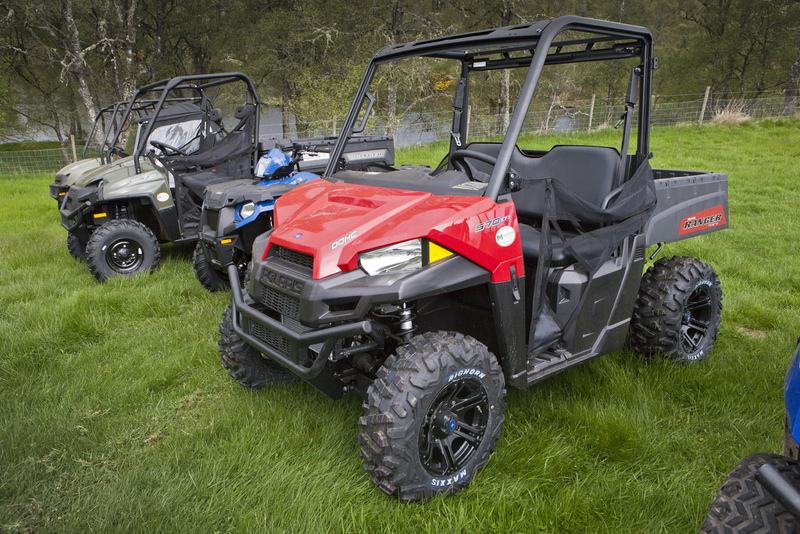 Polaris ATVs are available in a variety of colours, sage green is the standard utility colour for the UK, but some machines are available in metallic blue and sunset red, as well as block blue and red. Over this winter we have run 2 tracked Ranger demonstrators to show off the Polaris’ ability in deep powdery snow and soft wet conditions. 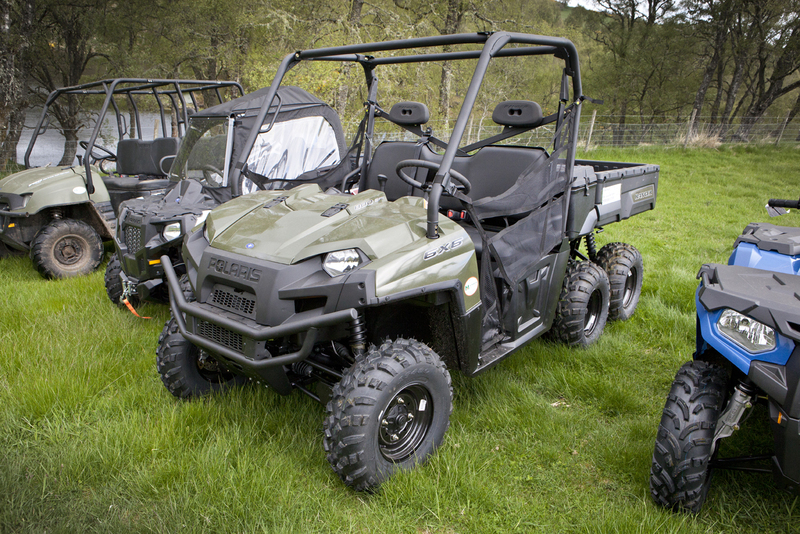 The Rangers are fitted with Polaris Prospector Pro S tack systems which provide unrivalled performance in extreme conditions. The track systems are ideal in soft wet saturated ground and snow, they are easily removed, in under an hour, to put your Ranger back on its wheels. In 2014 Polaris launched 18 new machines to their Worldwide dealers at their dealer conference in Minneapolis. 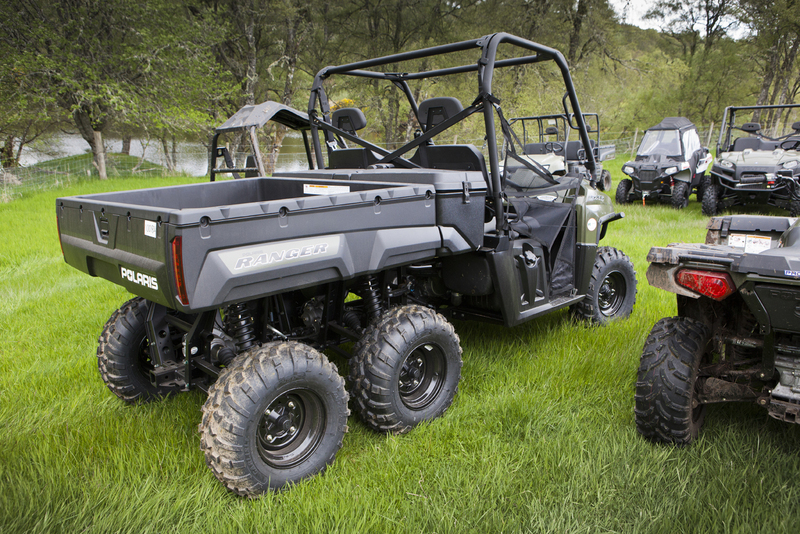 These 2015 model machines utilise the latest in ATV engine technology and redesigned suspension geometry to give Polaris the most extensive range of off road vehicles produced today. The new PROSTAR engines are designed in England where worldleading engines are built for Formula One, the pool of skills and innovations in the area have given Polaris engines more power, more torque and better fuel consumption. The latest 325cc engine develops 32hp, outstripping the outgoing 449cc 29hp unit by 10%. The Ranger ETX fitted with this new engine is able to deliver 35mpg at a steady 25mph. 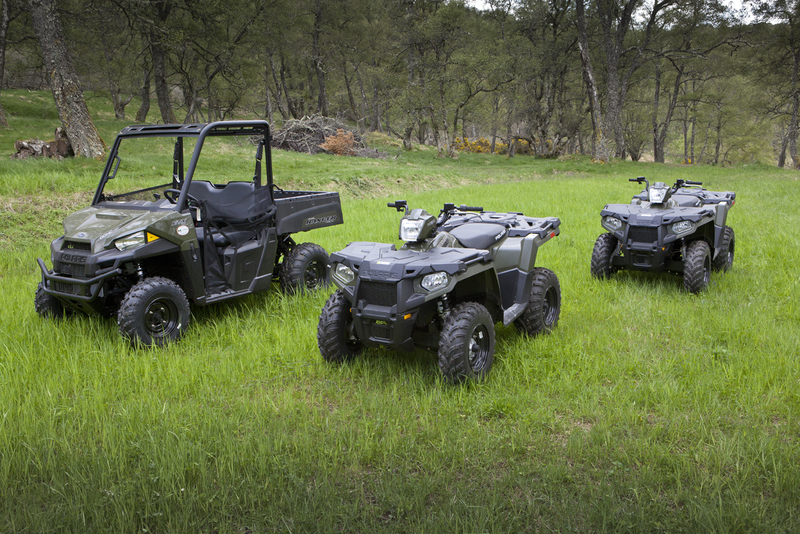 In the highland area the two highest selling Polaris models for us over the last 3 years have been the Ranger 400 and the Ranger Diesel. 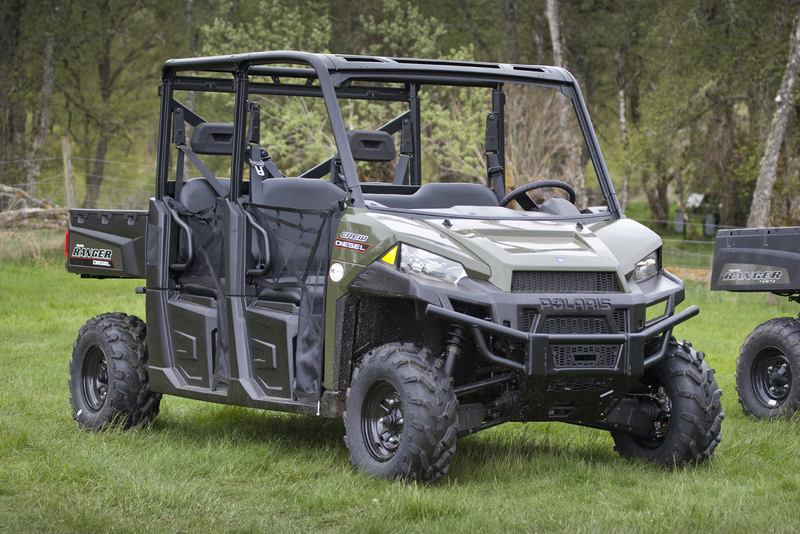 Both of these machines have been replaced for 2015, giving us the Ranger ETX and the Ranger XP 1000 Diesel. The new model machines are proving popular with new and existing users. Polaris under the PURE POLARIS brand offer a vast range of accessories to allow you to customise your ATV to your requirements. 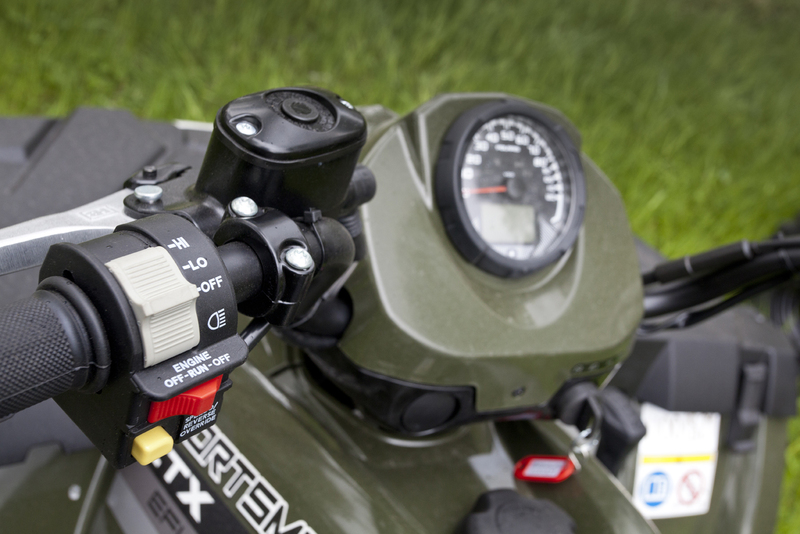 From cargo boxes, rack extenders, brush guards and alloy wheels to heated handlebar grips, helmets and clothing, we can offer you quality accessories from Polaris. A range of Polaris accessories can be found at www.purepolaris.com/en-us/Pages/Choose-Your-Ride.aspx Not all are available in the UK, please call us for details. 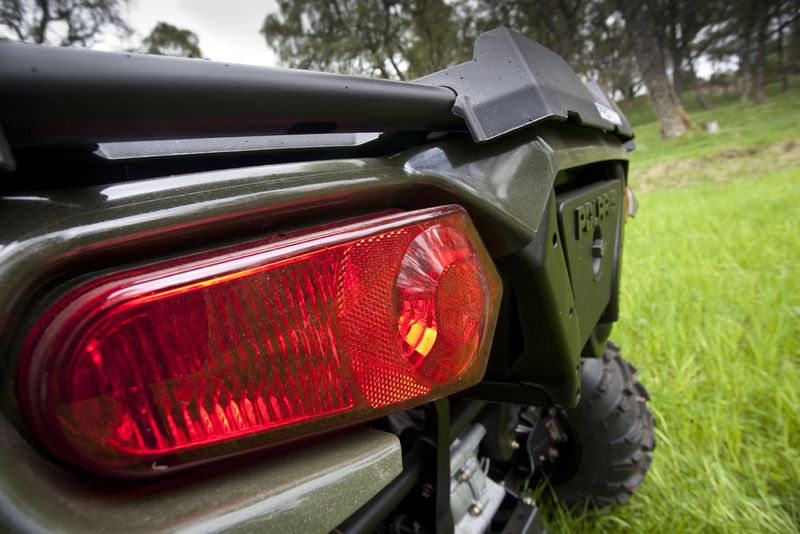 We can provide help and assistance in making sure that you choose the right Polaris for you. Please call our sales department for details.